Groundfloor operates on core values that include efficiency, openness, transparency, and accountability. We emphasize those values in our lending operations for the benefit of our borrowers, and as an issuer of securities for the benefit of our lenders who invest in our loans. Selling to the general public instead of only to institutions or accredited investors means we are held to a higher standard of disclosure. As part of our commitment, we regularly report on the performance of the loans underlying the investment product we offer. This is unique in the real estate crowdfunding industry. No other issuer or platform provides investors with this level of disclosure and accountability. In a nascent industry with big plans for growth, we intend to lead in being accountable to investors. Where some might be tempted to sweep problems under the rug, we disclose and discuss them openly. In particular, we believe our investors are entitled to an explanation when an investment does not perform as expected. Accordingly and in that spirit, below is the post mortem of the first loan of over 100 repaid to date in Groundfloor’s history that has not realized a 100% return of expected principal and interest. We take our responsibility to prevent losses seriously. 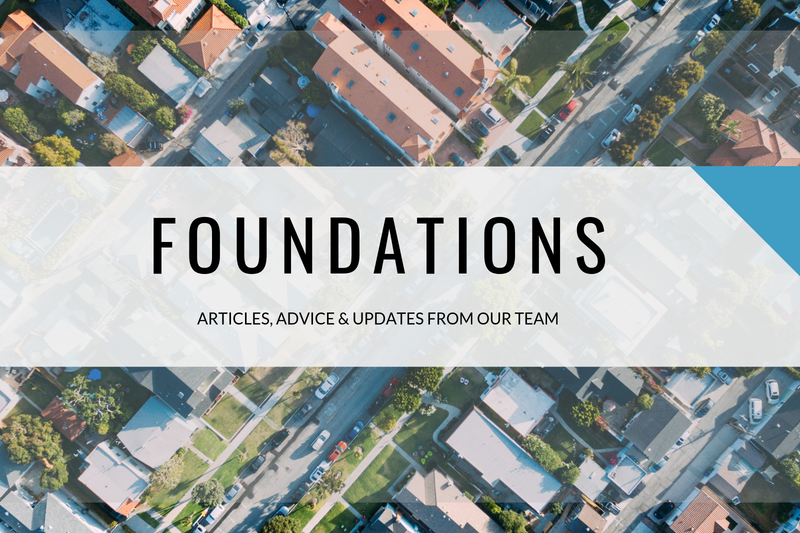 You can read read more about how we manage the real estate loans we make in our recent post, When Things Go Wrong With A Groundfloor Loan. On March 28, 2015 Groundfloor funded a $40,000 loan secured by property in East Point, GA. The purpose of the loan was to finance renovation of the property. Repayment of the loan was expected through a sale of the renovated property. Given the scope of the renovation project, the April 18, 2016 maturity date was deemed appropriate to facilitate the renovation, marketing and sale of the property. Standard loan underwriting factors and metrics were analyzed and assessed under Groundfloor’s proprietary credit model to yield a grade of “C” and associated 13.4% interest rate for the loan. The sum of $10,000 was disbursed at closing, with $28,095 held in escrow to fund the renovation. The balance of the loan proceeds ($1,905) was applied to closing costs. Escrow funds were disbursed as the works progressed and were fully disbursed by August 2015. After the loan proceeds had been fully disbursed, a title dispute was brought to our attention. Groundfloor turned to the closing attorney for a resolution, and ultimately decided to file a title claim against our title insurance policy. Our claim was granted, and a settlement was reached which cleared the way for us to obtain title. The process took several months to complete. We kept investors up to date along the way. After taking ownership of the property, Groundfloor attended the property to inspect its condition and establish a list of works required to be completed to prepare it for sale. We also obtained property insurance to protect the asset value from loss and liability claims. The property was actively marketed for sale by a vetted real estate agent. Based on advice from the agent, the property was viewed over 35 times and received 2 offers. Groundfloor entered into a contract with a buyer on November 8, 2016. This contract was subject to due diligence. During the buyer's due diligence investigations, extensive fire damage was discovered in the crawlspace and attic. Further, the City of East Point advised that there were unpaid municipal charges associated with the property totaling approximately $4,500. Resolving these issues required six weeks of effort. Groundfloor reassessed the value of the property in conjunction with advice from the sales agent and its closing counsel. The sales price of the property was reduced to $52,000. The closing of the sale occurred on January 8, 2017. The transaction costs included $1,443.15 of real estate taxes and a $600.00 standard servicing fee paid to Groundfloor. We were also reimbursed for $5,000.00 in third party legal fees we advanced to pursue the recovery. Net of those deductions (a total of $7,543.15), the proceeds for repayment came to $44,456.85. Investors in this loan are realizing a 11.1% total return (6.2% annualized). The results of this loan are mixed. On one hand, we’re satisfied to have recovered principal and at least a partial return. While this loan didn’t return what it was supposed to, 6.2% was actually enough to beat the S&P500 over the same period. Our asset management team worked diligently to maximize the return. On the other hand, effecting the recovery required resolving title issues that took a long time. Repaying investors 10 months late on a 12 month loan is nothing to be proud of. Foreseeing and preventing the title issues that emerged on this loan are acknowledged as an area for improvement. It is fortunately an area in which we’ve significantly upgraded the tools, information and expertise involved in assessing these issues. We still require title insurance on all our properties (which was critical here), but now we have several measures in place to better identify sponsor conflicts and legal problems before they arise as they did here. For more information on how we handle problem loans more generally, read When Things Go Wrong With A Groundfloor Loan. We always welcome your feedback, questions and comment. Please use the comments below or email me directly at rich@groundfloor.us.